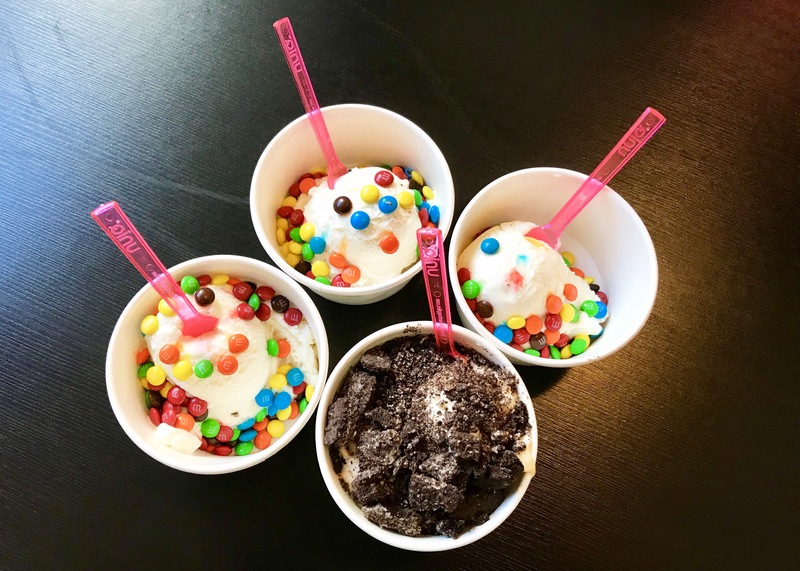 Donuts and ice cream and toppings; oh my! 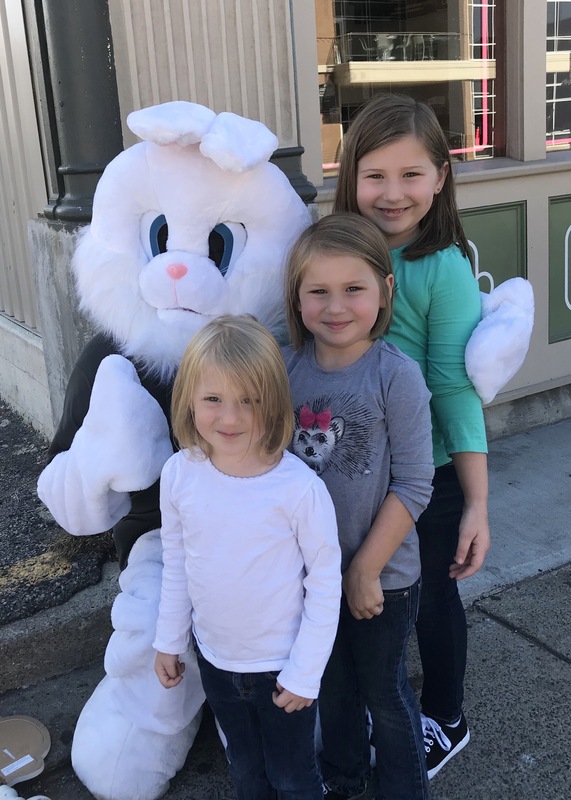 Yummi Bunni hit the jackpot when they opened in November 2016 with their amazing creation. 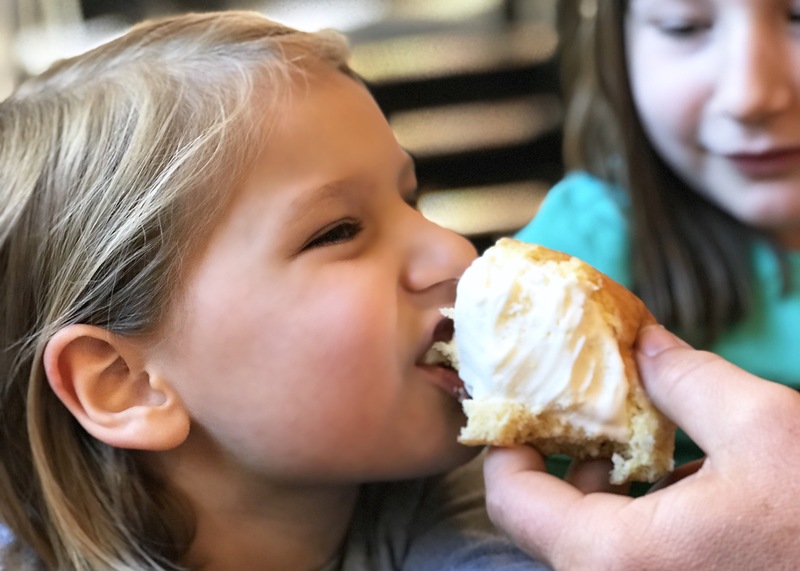 Brain child of Nick and Makenna Click, the “Yummi Bun” features ice cream scooped directly onto a sliced doughnut. 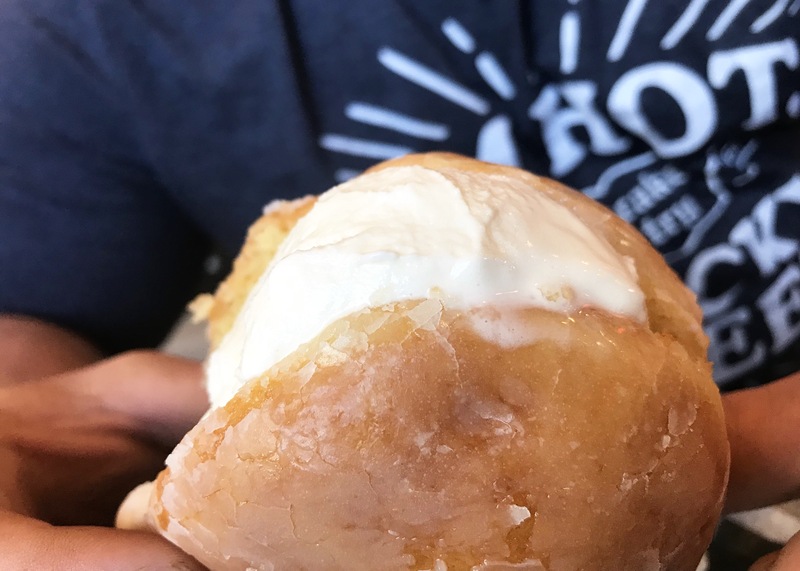 With ice cream from a family owned distributor in Wisconsin donuts from the locally acclaimed Tom’s Donuts, you know the quality is top-notch. 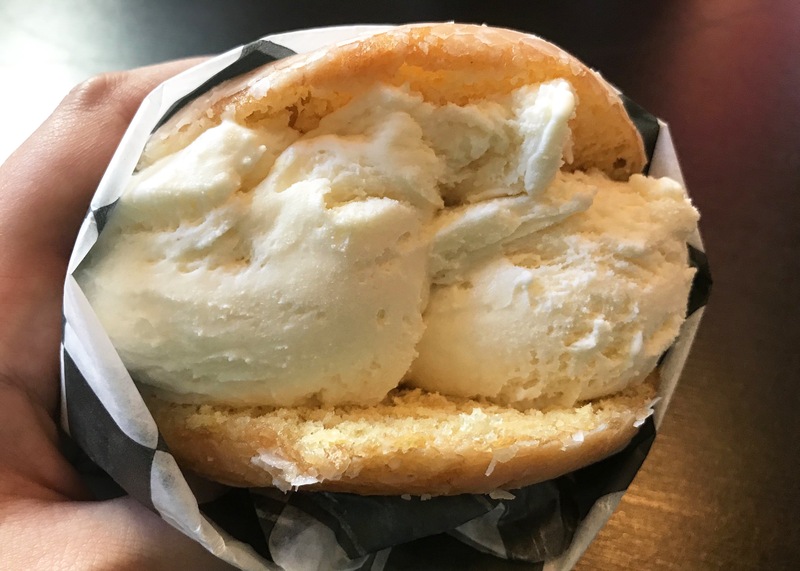 Add your favorite toppings and this incredibly unique ice cream sandwich is ready to be devoured! On our trip, I knew just by looking around that the monster of a treat would be a no-go for me but The Mister was on a mission. He loaded his donut up with plain vanilla ice cream and the girls starred in awe as he dug in. The verdict: WIN! We all took a bite or two (because who could ever resist?) and the creamy cold mixed with the fluffy sweet was more than I could have imagine. It may be my new favorite dessert ever. 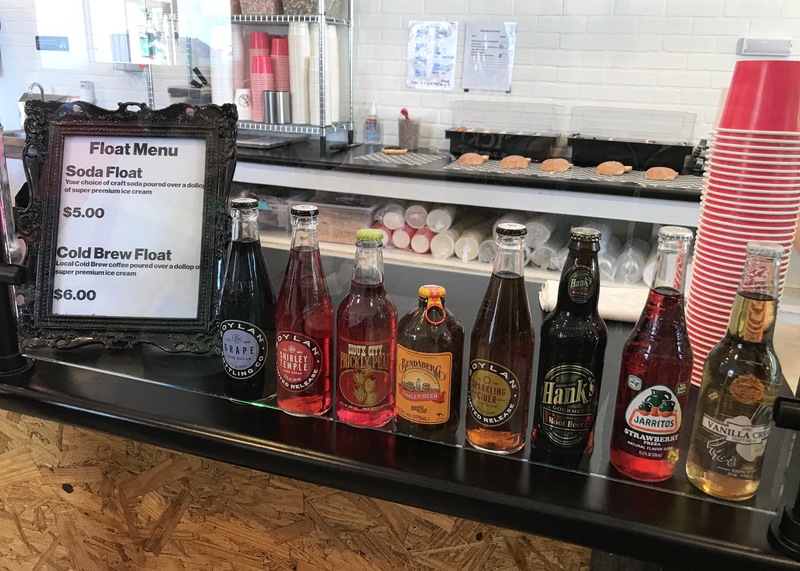 Not to be outdone by your regular ice cream shops, Yummi Bunni also offers floats, bowls by the scoop, several popular ice cream toppings (plus various cereals! ), and an official “bun of the week”. The girls all chose junior bowls of vanilla with M&Ms while I grabbed myself a single scoop of caramel chaos topped with Oreos. Talk about the best ice cream we’ve ever had. I definitely need to know who their distributor is!